This program is an opportunity to get our children busy with some useful activities during two days in December. 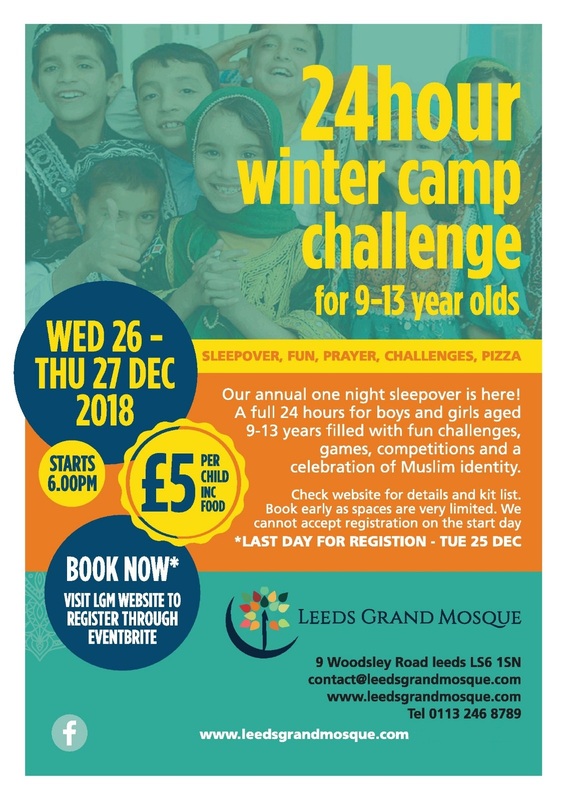 The program includes: sleepover for one night (boys and girls will be separate), do the prayers in the mosque, learn new stuff, and face a lot of challenges in a fun and entertaining way. 1. Iman: quam prayer, reading Quran, Duha prayer, etc. 3. Challenge: competition games, scout and teamwork activities, etc. 4. Fun: eating pizza, playing with indoor balls, etc. The last day for registration is 25th December, and no registration will be allowed on 26th December (the start date). Places are very limited. Register early to avoid any disappointments.